Enersound warrants its receivers and transmitters (R-120 and T-500) to be free from defects in workmanship and material under normal use and conditions for one year from date of purchase. 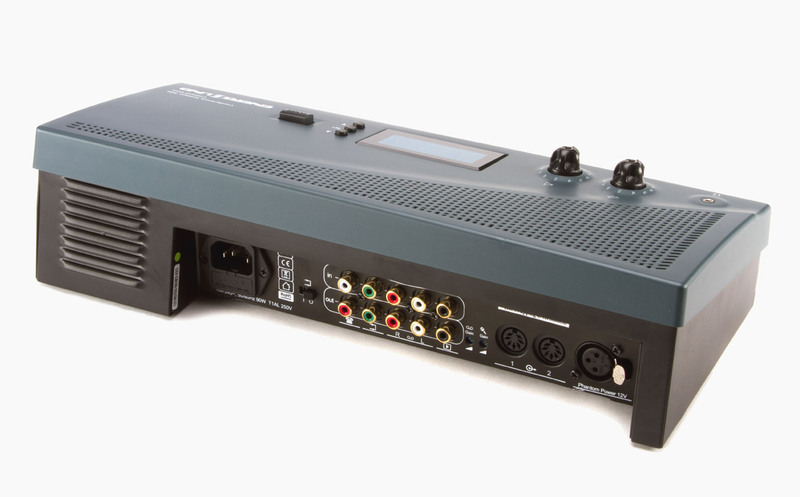 Additionally, the Enersound R120 receiver is covered under a lifetime replacement warranty for a nominal fee* for the useful lifetime of the product from date of purchase. This program also covers damage to equipment due to improper use or accidental damage. Shipping fees are to be paid by the client. Contact us for details. 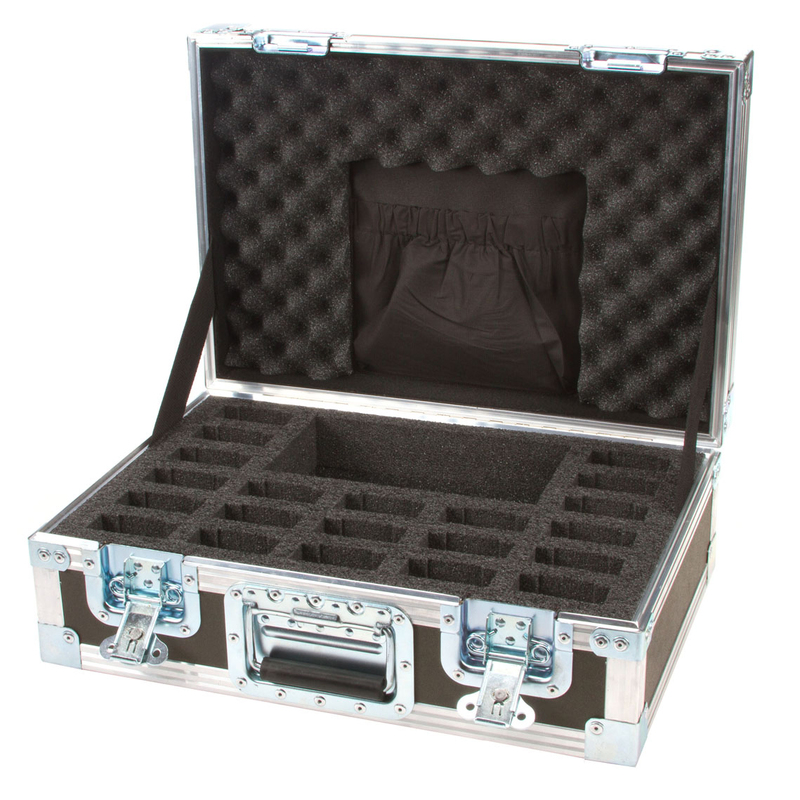 Enersound warrants its carrying cases (CAS-10, CAS-25, ATA-21, ATA-30 and ATA-50) to be free from defects in workmanship and material under normal use and conditions for one year from date of purchase. 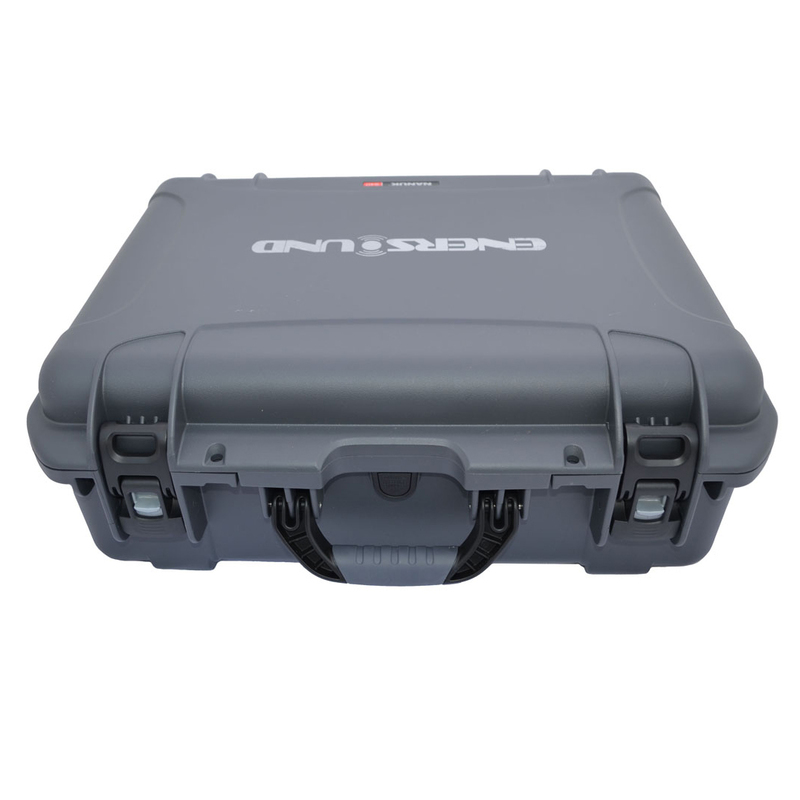 The following conferencing equipment (DU-300, CH-300, CU-300) carries a 1-year limited manufacturer’s warranty to be free from defects in workmanship and material under normal use and conditions. 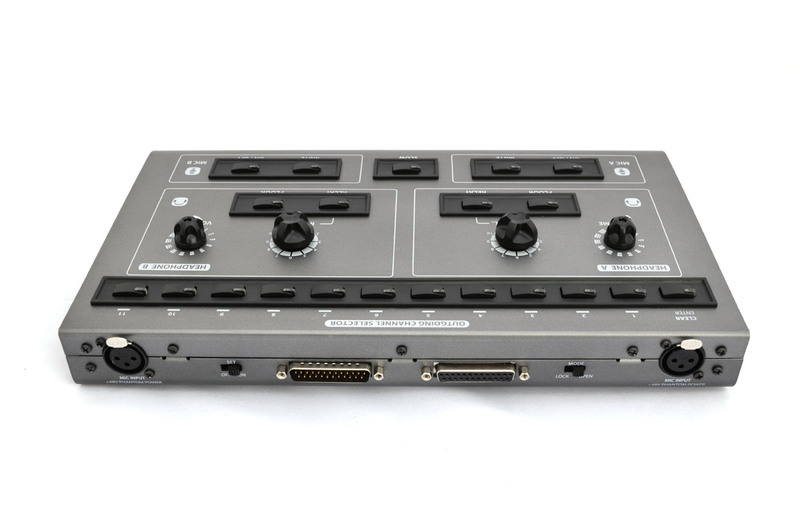 Enersound IC-12 and CU-12 multi-language interpreter system carries a 1-year limited manufacturer’s warranty to be free from defects in workmanship and material under normal use and conditions. 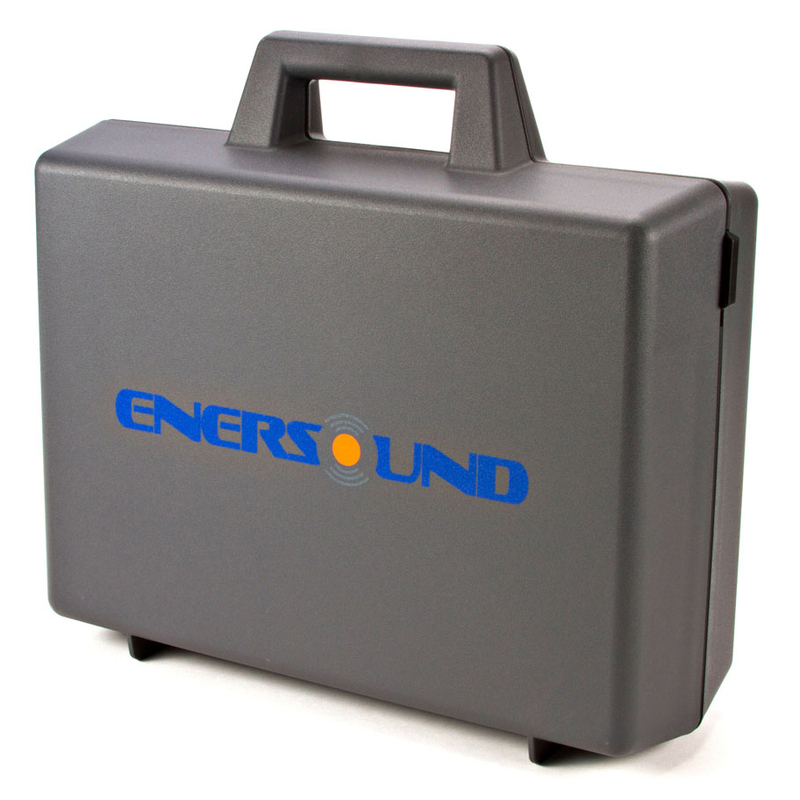 Enersound PA-200 waistband voice amplifier carries a 1-year limited manufacturer’s warranty to be free from defects in workmanship and material under normal use and conditions. Enersound table-top and sound-proof booths carry a 1-year limited manufacturer’s warranty to be free from defects in workmanship and material under normal use and conditions. All other products and accessories are warranted for 90 days from date of purchase. This warranty is only available to the original end purchaser of the product when purchased through an authorized Enersound dealer. Please check the product manual for warranty details and limitations or contact us with any questions. Warranty does not cover normal wear and tear on the product or any other physical damage unless the damage was the result of a manufacturing defect. This warranty is void if damage occurred because of misuse or if the product has been repaired or modified by anyone other than a factory authorized service center. Product that is not covered under warranty shall be repaired or replaced with a unit of similar type and condition based on a flat fee. Contact Enersound for details. Enersound shall bear no responsibility or obligation with respect to the manner of use of any equipment sold by it. 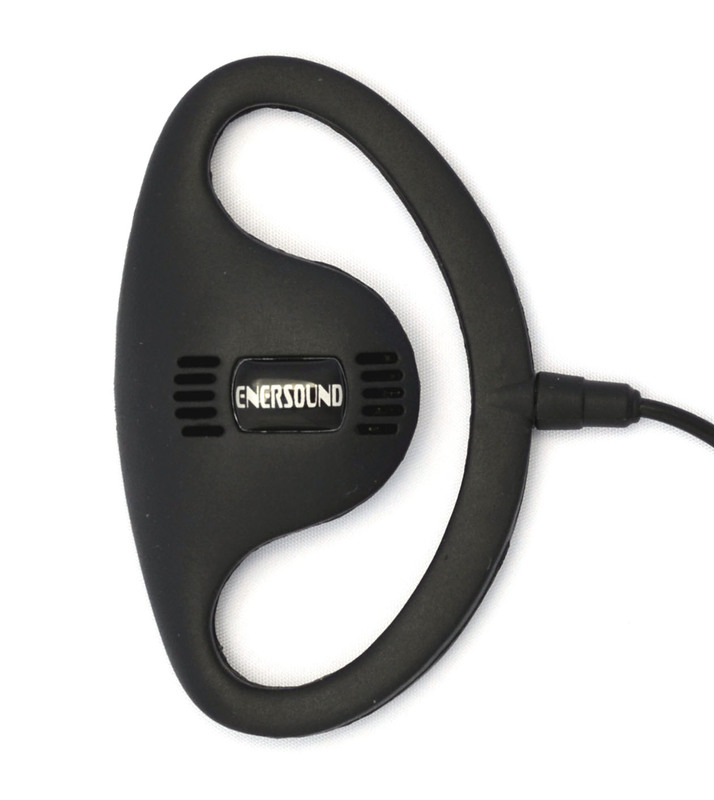 Enersound specifically disclaims and negates any warranty of merchantability or fitness of use of such equipment including, without limitation, any warranty that the use of such equipment for any purpose will comply with applicable laws and regulations. The terms of the warranty are governed by the laws of the state of Florida. This limited warranty, prices, and the specifications of products are subject to change without notice. *Nominal Fee: currently $17.00 per receiver plus shipping costs. To return your product to Enersound for exchange, credit or repairs please complete the form below to receive a Return Merchandise Authorization Number. 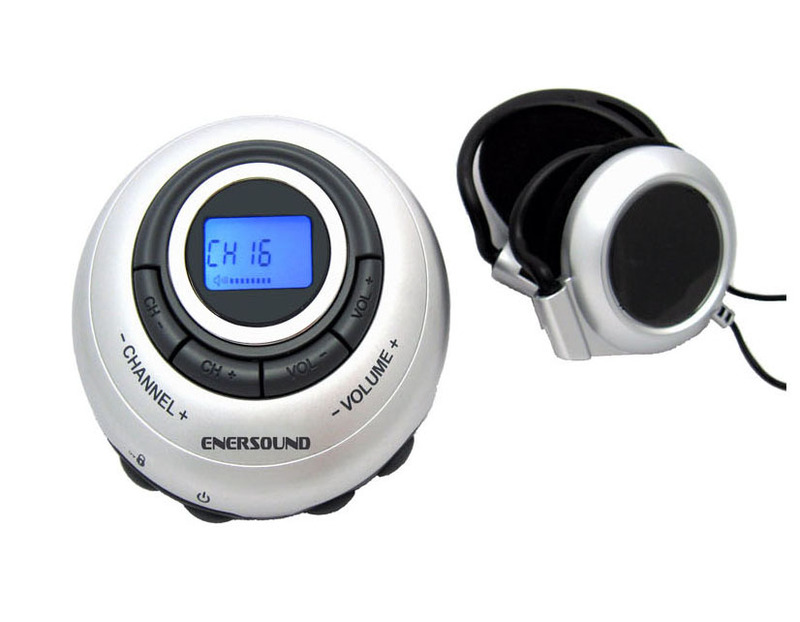 From what company did you purchase Enersound? Enersound is an anti‐spam site. We do not sell or share your information with anyone else. The resources below will assist you in understanding the requirements for providing assistive listening devices for hard of hearing people in any public setting. IRS Website. Eligible small businesses use this form to claim the disabled access credit. This credit is part of the general business credit. Simultaneous Interpretation occurs when an interpreter listens to the original message (source language) and relays it in another language (target language) with very little delay. 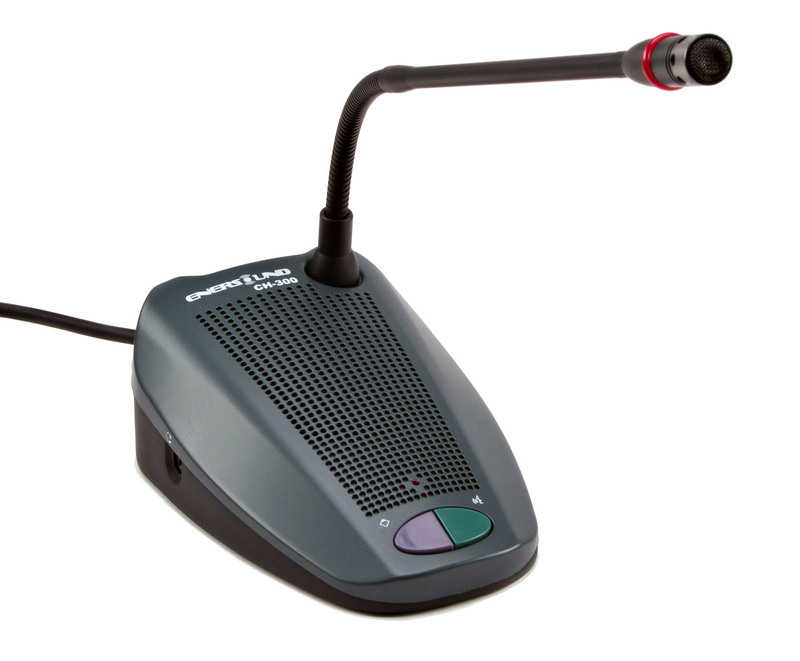 Typically, simultaneous interpretation requires the assistance of special equipment where the interpreter speaks into a microphone that is either connected into an interpreter console or directly to a wireless FM or infrared transmitter, while each participant in the audience uses a wireless receiver with headphones tuned into the appropriate channel for the language they choose to hear. Do Enersound language interpretation devices automatically translate from one language to another? No, they don’t. These devices require a professional interpreter with understanding of the context to perform the language interpretation. What is the difference between FM and IR technology? Is one better than the other for simultaneous interpretation? 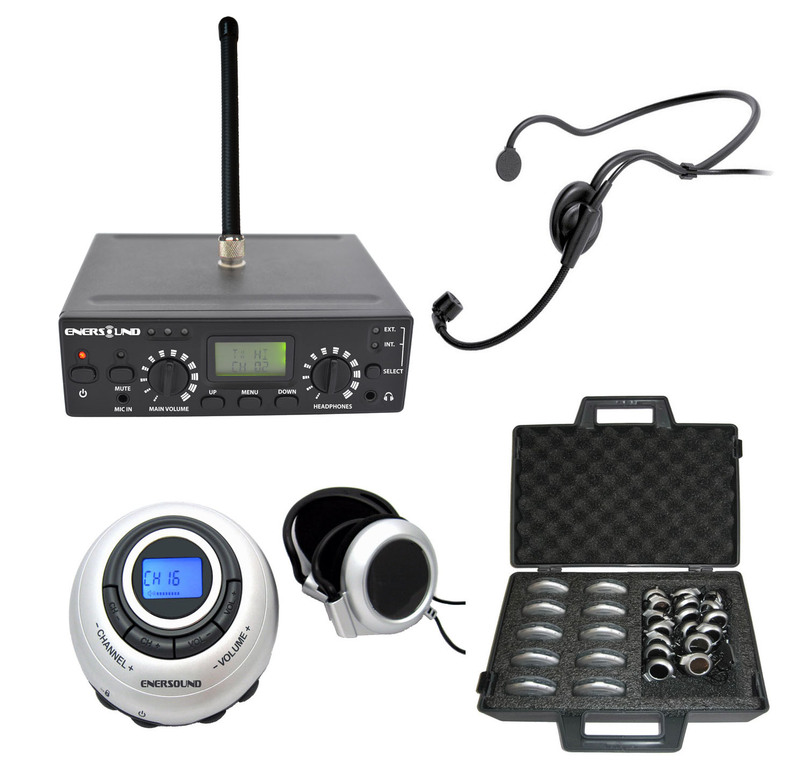 FM (frequency modulation) systems are the most popular equipment for simultaneous interpretation for their easy set-up, lower cost and minimal required system components. In the US and in most of the Americas the most convenient frequency band range for transmitters and receivers is 72-76 Mhz. These frequencies are out of the range of commercial FM radio stations, consequently, requiring special FM equipment. 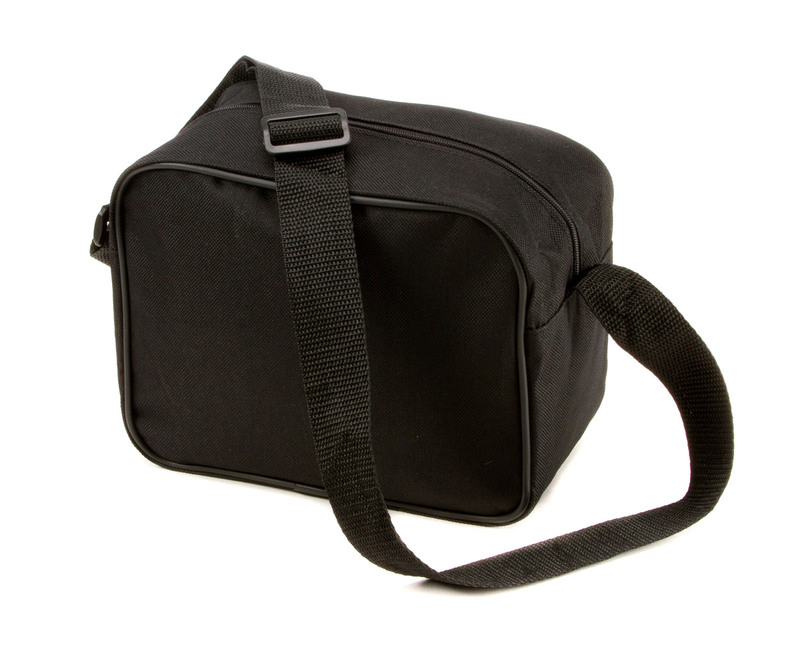 The coverage range is between 150 and 1500 feet depending on the transmitters and antennas. 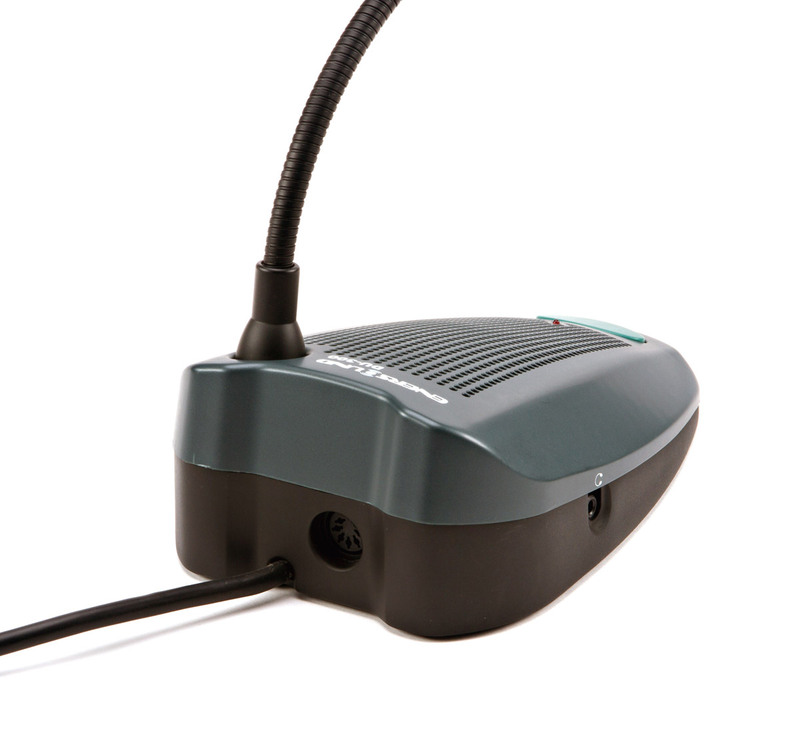 These language interpretation systems can be expanded by adding as many receivers as needed, the only limitation being the coverage area of the transmitter. FM systems can pass through walls. 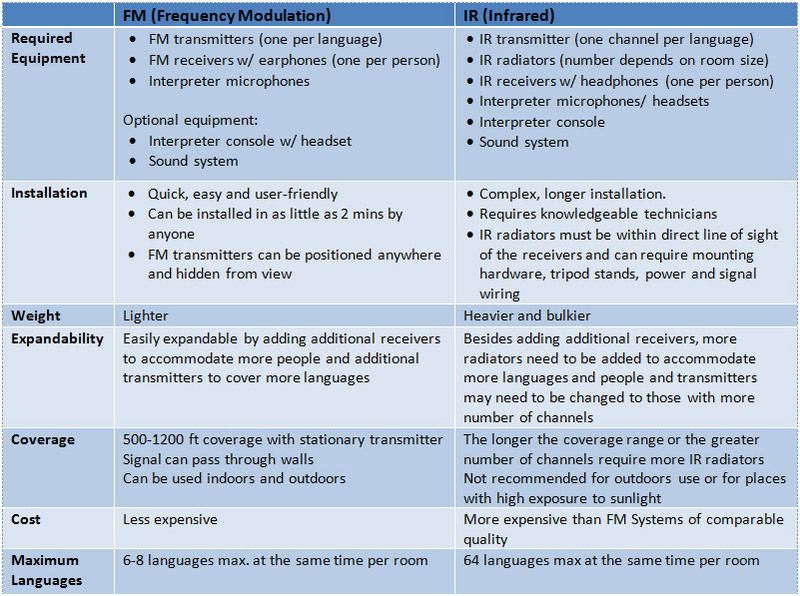 FM systems require one transmitter per language. FM transmitters can be portable (also called tour-guide transmitters) and run on batteries and stationary transmitters (also called base or table transmitters) are mostly used for events at fixed locations that does not require the interpreter to move around. Stationary transmitters typically allow for up to six interference-free simultaneous languages in one room in the frequency range of 72-76 Mhz. IR (Infrared) systems are frequently used for confidential meetings since IR signals don’t pass through walls, and/or when there is a need to use more than 6-8 languages in one room. IR systems require at least one IR transmitter (modulator), as many IR radiators as needed to cover the desired area and IR receivers. This technology is similar to the one used with remote controls. The transmitter, radiators and receivers should be in the line of sight. This means that you need to carefully mount sufficient radiators in the room to cover the whole area. Larger areas require more radiators. Some infrared systems require additional radiators depending on the total amount of channels (languages) to be used. In the case of infrared systems, generally only one multi-channel transmitter (modulator) is required per system. Whether infrared or radio frequency is better for you, depends on how, why, and where you’ll be using the equipment. For most applications including but not limited to meetings and conferences, religious services, guided visits, tours of factories, training sessions, corporate events, etc., FM technology will be more appropriate. Whereas infrared can be better in some highly confidential environments such as classified military meetings and when more than 6-8 languages are required in one same room. What is the difference between portable, battery-operated transmitters and stationary (also called table or base) transmitters? The difference between stationary and portable transmitters is that portable transmitters are battery-operated, while stationary transmitters are required to be plugged into an electrical outlet. 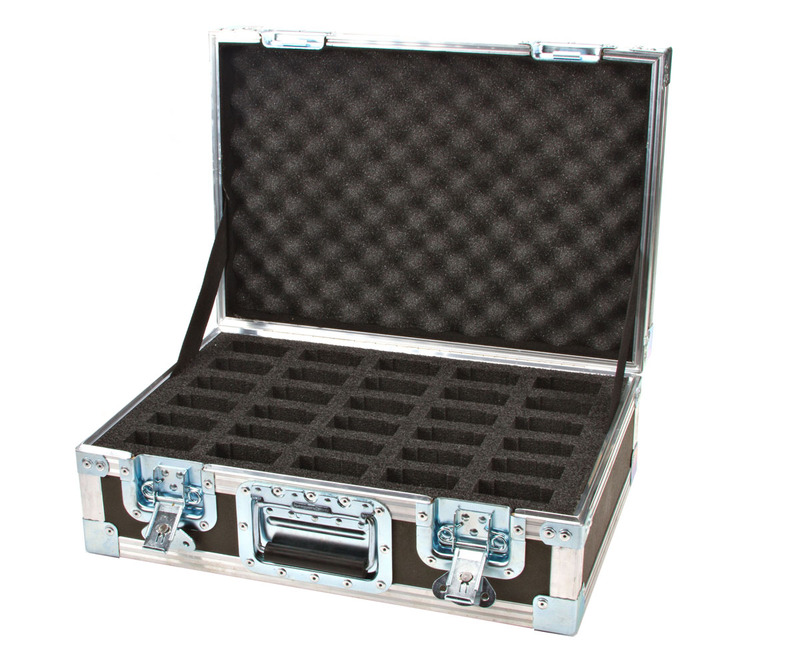 Both transmitter types can be easily transported and are light weight. 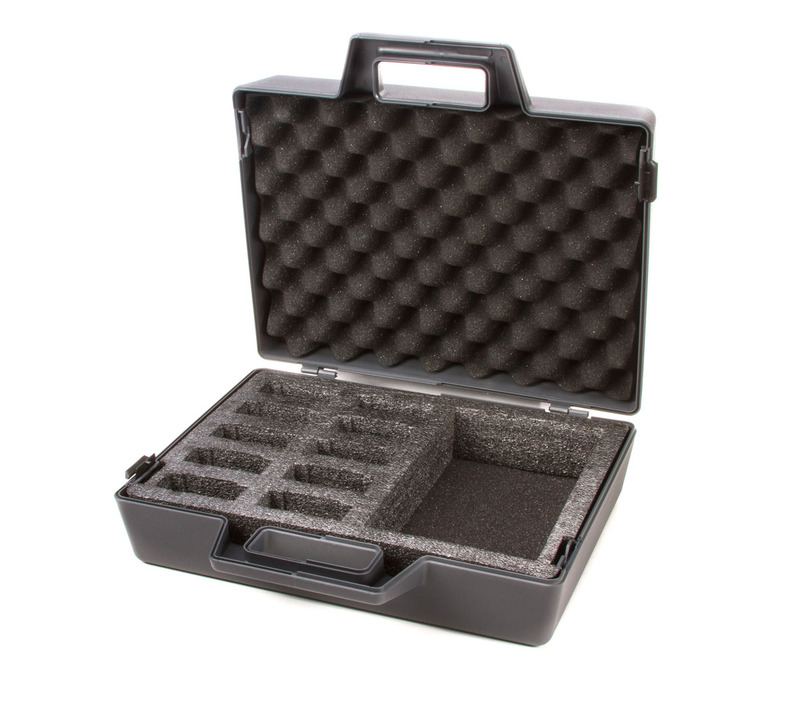 Portable transmitters are used in environments requiring mobility, such as facility tours and guided visits. On the other hand, stationary transmitters are generally more powerful and have better and larger coverage range compared to portable transmitters. 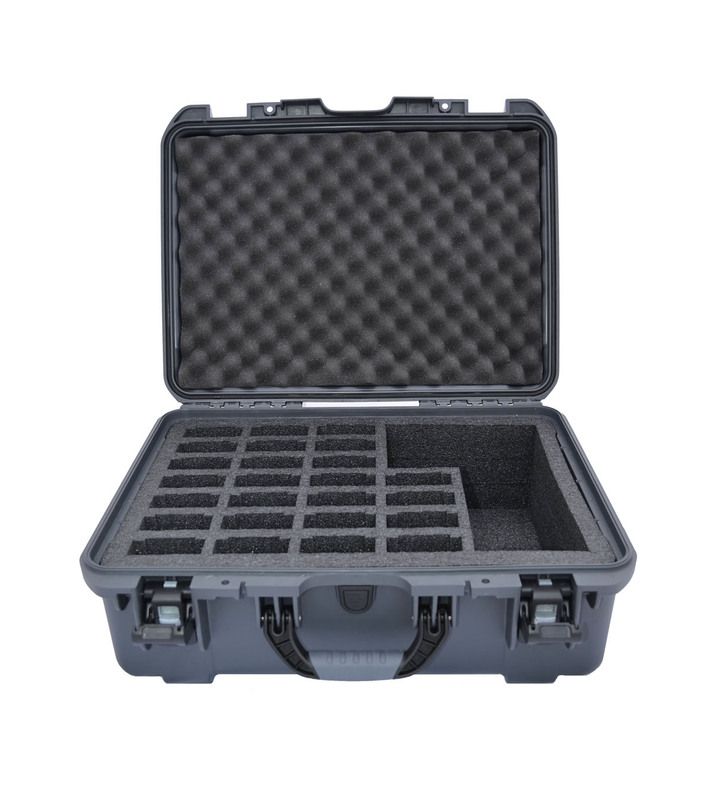 Portable transmitters typically have a coverage range of up to 150 ft (45 m), while stationary transmitters have a coverage range of up to 500 or 1500 ft (150 – 450 m) depending on the antenna. Stationary transmitters are ideal for conference or meeting rooms, auditoriums, stadiums, theaters, houses of worship, or any other venues where maximum coverage is essential. What is an interpreter console? Why are interpreter consoles needed in simultaneous interpreting? 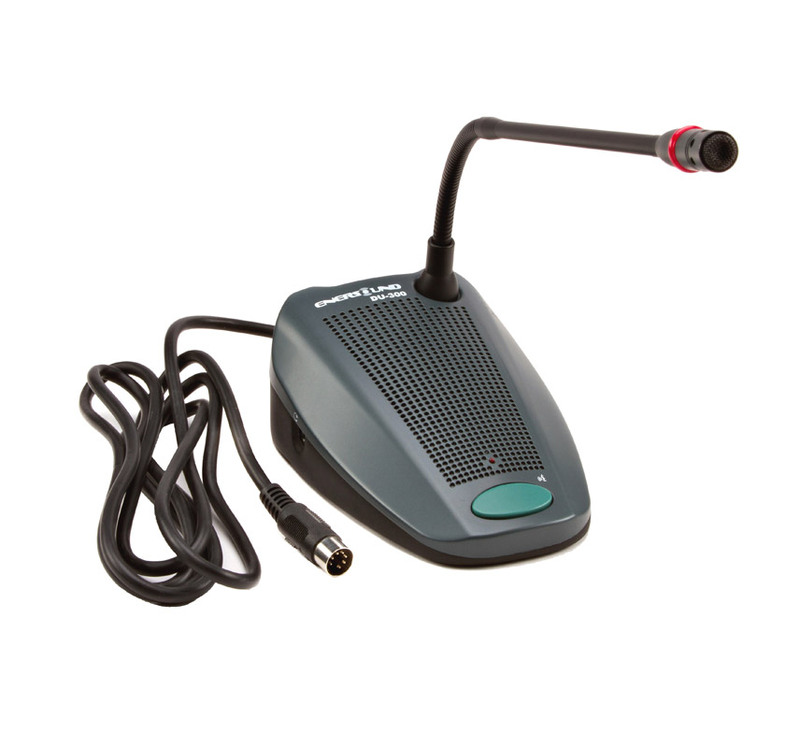 An interpreter console allows interpreters to listen to the original speech through a headset. 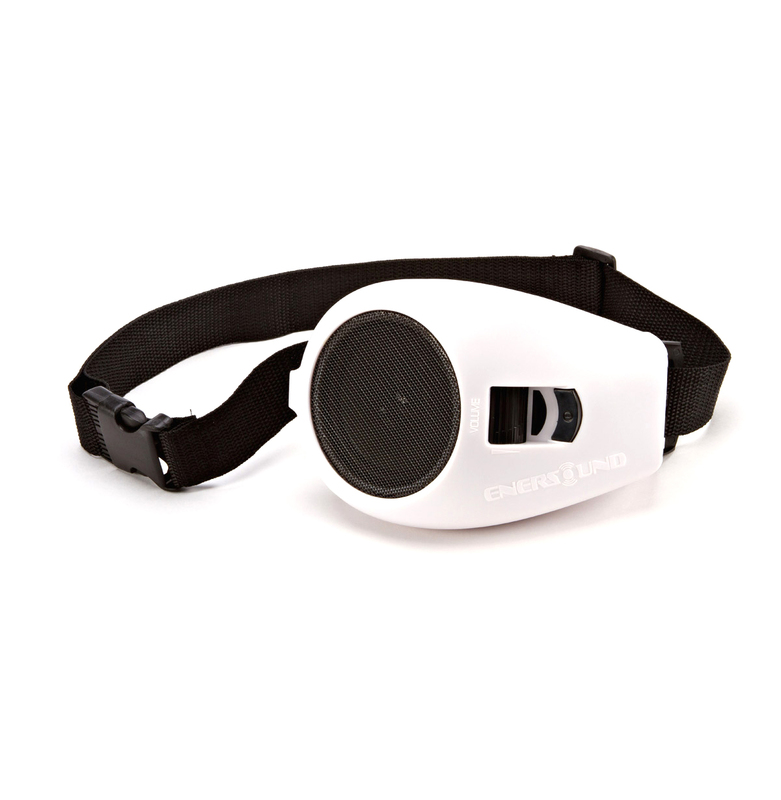 It also allows him/her to adjust the volume of the sound they hear, as well as to control the outgoing audio. An interpreter console has controls that allow the interpreter to activate or deactivate his or her microphone and select the appropriate outgoing channel. On professional systems, the interpreter console also interacts with the central control unit (CCU) to allow the use of the relay function between different language booths and the routing of the floor signals when the interpreter’s microphone is deactivated. Interpreter consoles can be of two types: Single interpreter consoles are used by one interpreter and dual interpreter consoles are used by two interpreters working together. Since simultaneous interpretation requires the interpreter to translate what they hear in real time, while considering all cultural expressions, the mental effort and concentration required from interpreters is immense. Therefore, many interpreters often work in 30 to 45-minute shifts. Relay interpretation (also termed as Indirect or second-hand Interpreting) is used when more than two languages are involved in an interpreted event and no single interpreter commands all of the languages, or when no interpreter can be found in a given language combination. It is especially useful for rare or uncommon languages and in the multilingual meetings. 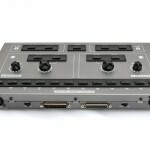 What are the differences among the Enersound push to talk conference microphone system, standard wired and wireless microphones? Each standard wired microphone is connected directly into one channel of an audio mixer using a cable. 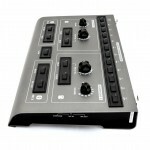 For example, if 10 standard wired microphones are required, you will need to run 10 cables into a 10-channel mixer and have an operator opening and closing the microphones to avoid excessive noise and feedback for having all the mics opened. If you think this is complicated with 10 microphones, imagine having 50 or more mics. 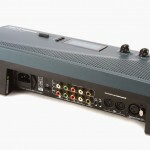 Each standard wireless microphone is comprised of a wireless microphone transmitter, and a base receiver that is connected into one channel of an audio mixer using a cable. Going back to the same example above, if 10 wireless microphones are required, you will need 10 wireless microphone systems working in 10 different interference-free frequencies, a 10-channel mixer and an operator. 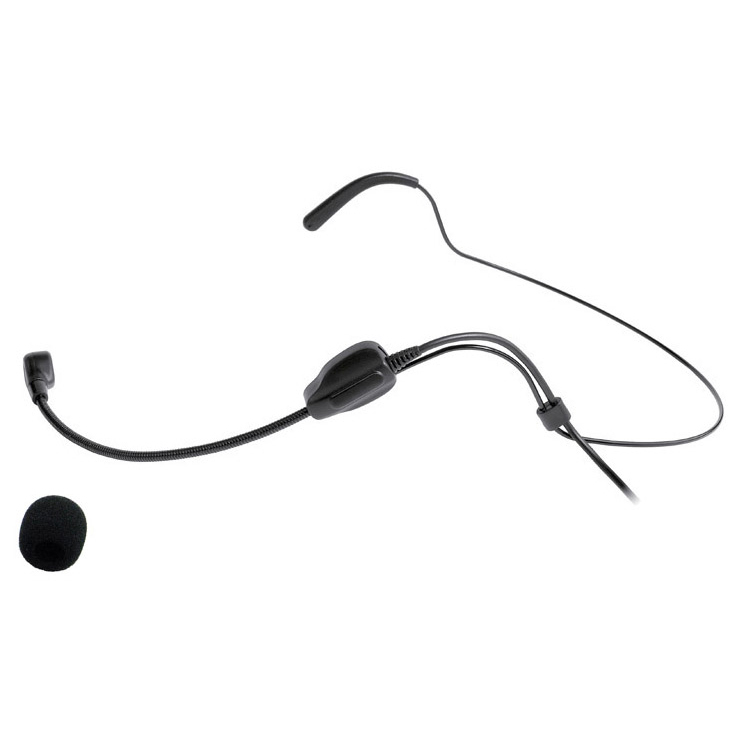 The more wireless microphones you need, the better quality the microphones need to be and the greater chances of interference you have. The only benefit to the above wired microphones is the elimination of some cabling but the rest of the challenges still remain and a new challenge is posed that is the availability of interference-free frequencies. 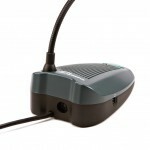 With the Enersound CS-300 push to talk conference microphone system, each microphone is connected to the next one using the attached single cable and the last microphone is connected to the control unit. 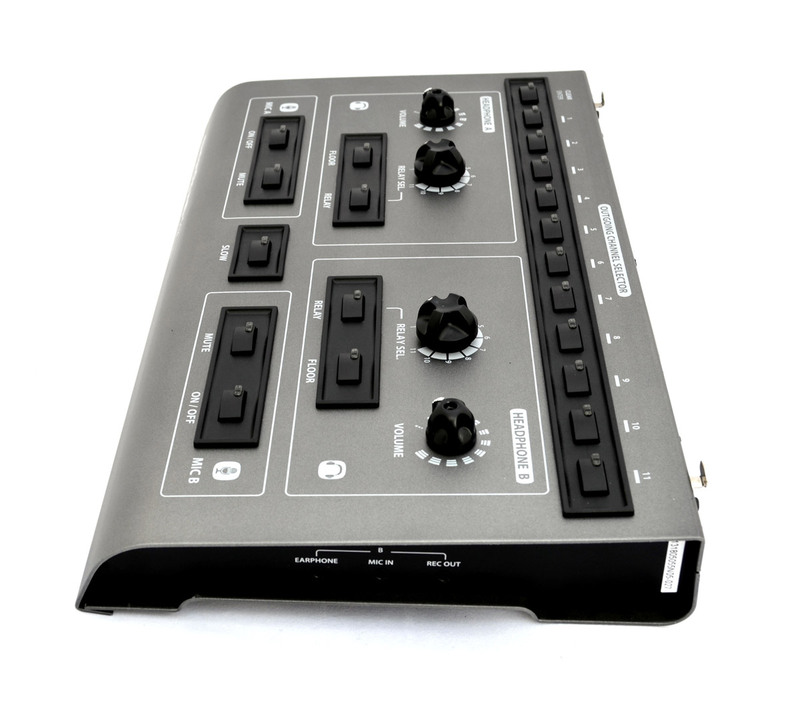 The control unit has an audio output that combines all of the microphones’ signals, eliminating the need of a multi-channel mixer and an operator to control the various microphones. 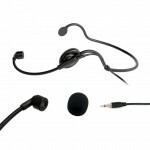 Consequently, there is only one cable in the system that interconnects all the microphones. This makes the set-up easier, cleaner and eliminates unnecessary cables that can cause noise, failures and visual clutter. 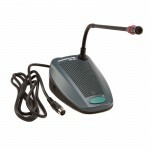 In addition, each microphone has a button to activate/ deactivate the microphone, a lighted ring that lights up when the microphone is activated to give a visual indication that the mic is active, and a speaker to listen to the audio of the other contribution units and auxiliaries. 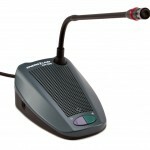 How many push to talk microphones can I have in the Enersound CS-300 conference microphone system? 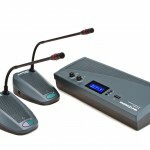 The CS-300 Conference and Discussion System is ideal for discussions and meetings of up to 150 people. 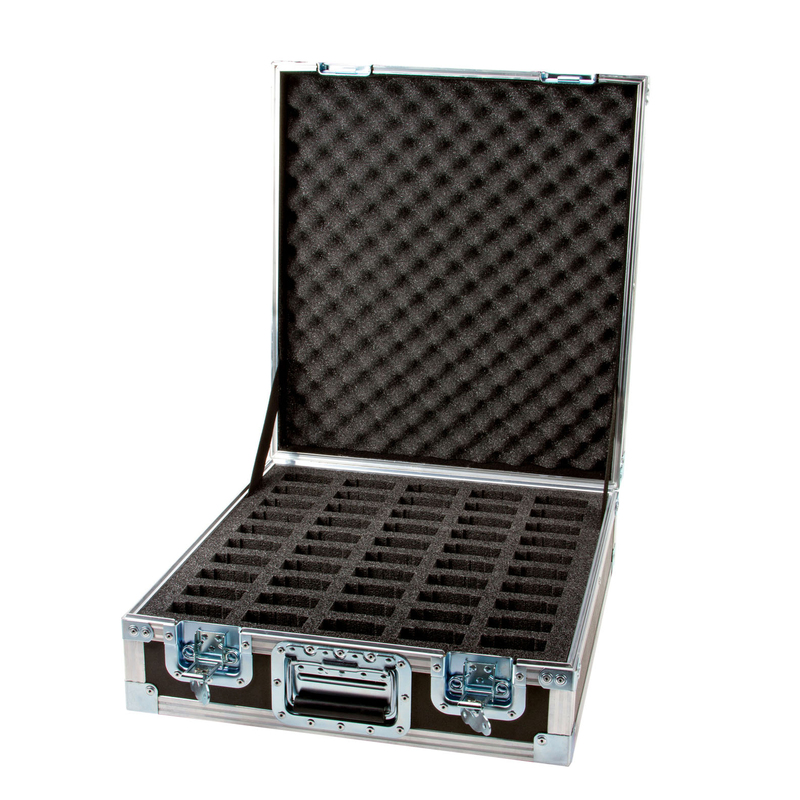 Each CU-300 Control Unit can handle up to 50 contribution microphones and with a maximum of 3 CU-300 Control Units per system you can handle up to 150 contribution microphones. The basic requirements for booths for simultaneous interpretation are specified in ISO 2603. This International Standard is an adaptation of ISO 2603 to meet the needs of transport and handling of mobile booths to be used in halls not equipped with built-in booths. ISO 140-4: 1998, Acoustics – Measurement of sound insulation in buildings and of building elements – Part 4: Field measurements of airborne sound insulation between rooms. ISO 2603:1998, Booths for simultaneous interpretation – General characteristics and equipment. ISO 3382:1997, Acoustics – Measurement of the reverberation time of rooms with reference to other acoustical parameters. 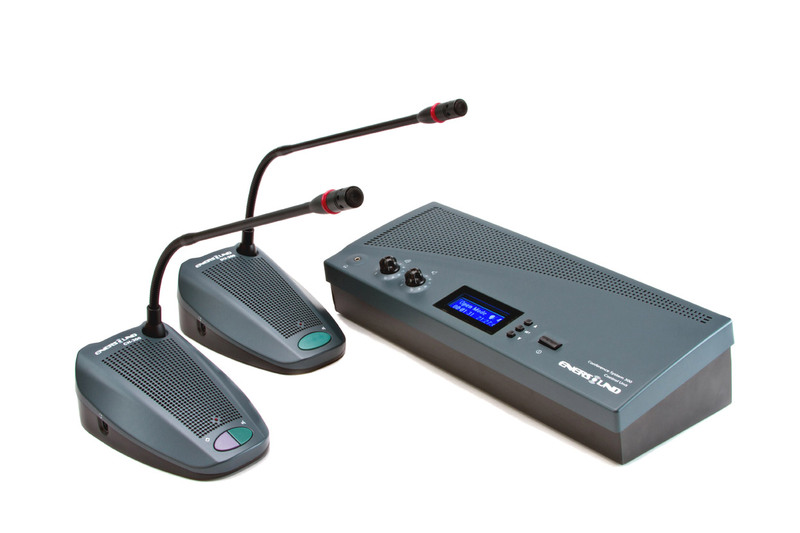 IEC 60914:1998, Conference Systems – Electrical and audio requirements. A self-contained unit enclosing the interpreters’ work space within a conference room, for the purpose of providing sound insulation, both from the proceedings in the room and between two or more simultaneously interpreted languages. Designed for temporary service in a variety of locations, mobile booths shall provide optimum sound-insulation and sound-absorption. Materials used should be easy to maintain, odorless, anti-static, fire retardant or non-flammable and cause no irritation to eyes, skin or respiratory tract. They shall neither attract nor harbor dust (pile carpeting should not be used). Color schemes should be appropriate for the restricted work space available in a booth. All surfaces, including equipment, should have a matt finish. Halls shall be properly heated and ventilated (air-conditioning), with a carbon dioxide level not exceeding 0.1 %. A sufficiently large area shall be provided to place the booths together in a position from which the rostrum, participants, blackboard and projection screen can be fully seen (see ISO 2603). To ensure adequate visibility in conference rooms with a level floor, booths should be raised to at least 0.30 m above the floor. Where necessary, a platform shall be used, provided it is stable, carpeted or suitably sound-absorbent, has safe access and does not creak. A free space (minimum of 2 m) shall be provided between conference table, delegates’ chairs and booths to avoid participants being disturbed by voices from the booths. A passage behind the booths at least 1.50 m wide should be provided (for safety and fire precautions). NOTE In very exception circumstances, where space restrictions and internal transport problems are such that the standard dimensions cannot be used, dimensions of 1.50 x 1.50 x 1.90 m may be used for no more than two interpreters. Front and side windows shall extend upwards for at least 0.80 m from the table surface or from no more than 0.10 m above that surface. Side windows should extend from the front window for a minimum of 0.60 m along the side wall, 0.10 m of which should be beyond the free edge of the working surface. Mobile booths shall be so designed as to provide reasonable sound insulation against any sound from sources outside the booth, e.g. speech from neighboring booths or the hall (and vice versa), background noise, etc. Where walls are shared by booths, the sound insulation values shall be fully met. Reverberation and sound reflection shall be reduced by using suitable anti-static sound-absorbing materials on inside surfaces. The reverberation time (see ISO 3382) inside the booth shall be between 0.3 s and 0.5 s, in the octave bands from 125 Hz to 4000 Hz (booth unoccupied). Where air intake is direct from the meeting room, vents should be located low in booth walls (to benefit from cooler air and to ensure proper circulation) and towards the rear of the booth to avoid draughts on the interpreters’ legs. – leg-room: minimum 0.45 m; supporting structures shall not encroach on leg room or obstruct movement. – upholstery of heat-dissipating material. Interpreters’ microphones may be mounted on a movable base or combined with headphones (i.e. headsets). 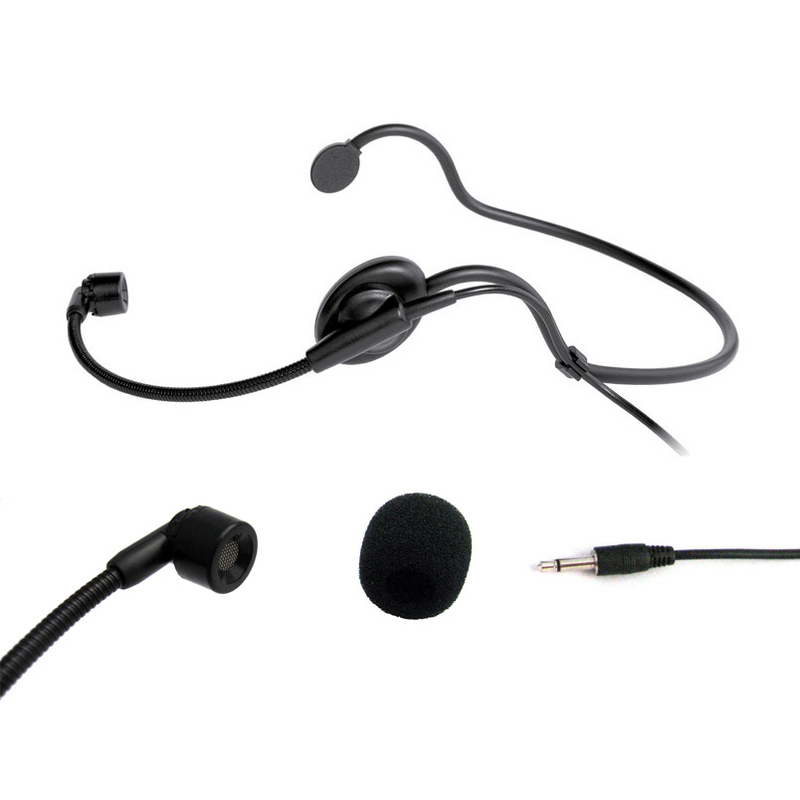 However, headset combinations do not suit all interpreters. One microphone is required for each interpreter. cannot be avoided (e.g., the majority of participants listening to conference proceedings in the original language), public address systems should be operated at their lowest level and every endeavor should be made to eliminate loudspeaker feedback into microphones placed in the hall. 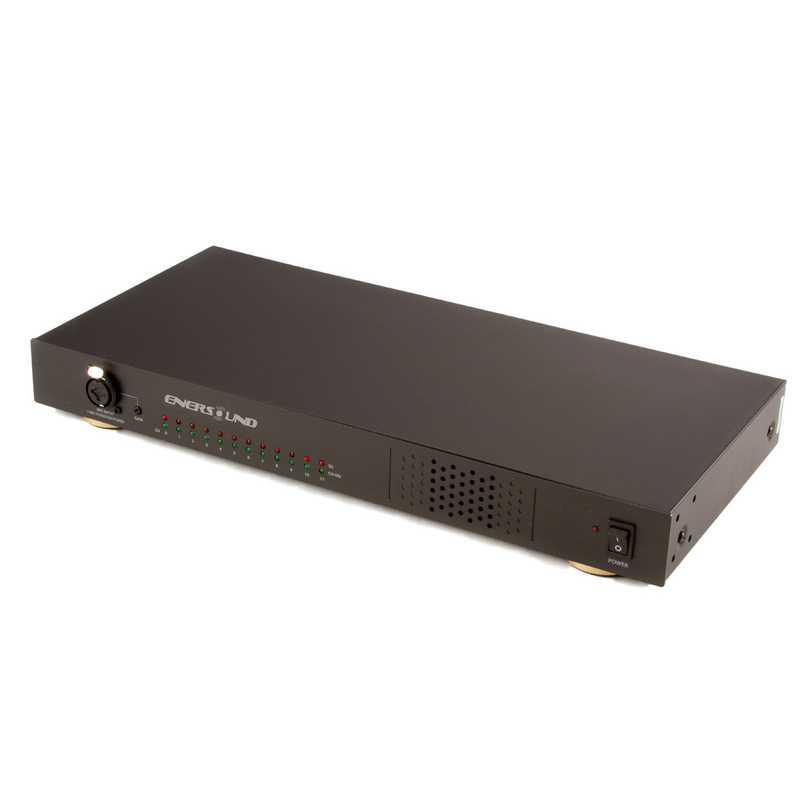 – have separate volume controls allowing individual level adjustment for each system, independently, so that lowering the public address level does not reduce the signal strength available to interpreters.